Comic Book Price guide and more! One of the major themes of the 90s was that everyone could get rich collecting comic books. You just buy dozen first issue prints, sit on them for a decade, and flip them for thousands of dollars. Sounds great right? Yeah well it didn't quite work out so well. In fact if you go to any comic book shop now you'll find TONS of 90s era comics for half off their cover price or less. So what happened? A lot went into the 90s comic craze but for now lets focus on the monetary side and comic book pricing in general. So if you use the above video as the high end of a comic book price guide, you can see why people would get excited. The thing is, those comics are outliers. It's actually the norm for comics to fall under their cover value and some wont make it back there for decades. Keeping them in mint condition obviously helps, so does sending them off to be graded by CGC. To be completely honest, there isn't a lot of room for you to make tons of money collecting comics. Although there are plenty of tips and tricks we're going to cover to try and give you the best chance at succeding! This book is probably the best starting place for any level of collector. For years now the definitive source for comic book pricing has been The Overstreet Comic Book Pricing Guide. Volume 46 was released in August 2016 so it's recent. It has 1200 pages of comic pricing and should cover almost all of your pricing questions. Nearly every comic book dealer has one of these somewhere and for under $20 it's hard to go wrong. To get yourself a copy on Amazon, click the link below. It's important to remember that these values are not set in stone. Pricing you find in this book or online should be taken as baseline or starting point for your buying or selling. Check EBay and Amazon Marketplace to see if you can find what other people are getting for their comics before selling them off. One thing I like to do for investing in my own collection is gauging how the comic book is doing in other mediums. For example, the Suicide Squad movie was released not too long ago and with all that extra exposure it's probably a good time to sell off some of those older issues. Maybe there is a new TV show or video game like Thief of Thieves or Sonic Mania that will increase their respected public exposure. In that case you might want to hold onto those comics until after those release dates. Timing can be everything. One of the most valuable comics since 2000 has been the first issue of The Walking Dead. A quick look at EBay will show you the first issue going for well over $1,000. But as we said, keep in mind this type of thing is an anomaly. Not every comic you buy is going to have a massively ​successful ​TV show, action figures, and video games to go alongside it. Grading comics gives the seller a sense of comfort knowing professionals have looked over this book and assigned it a value. Since they are placed into highly protective packaging, you also know the quality and value will not drop anytime soon. 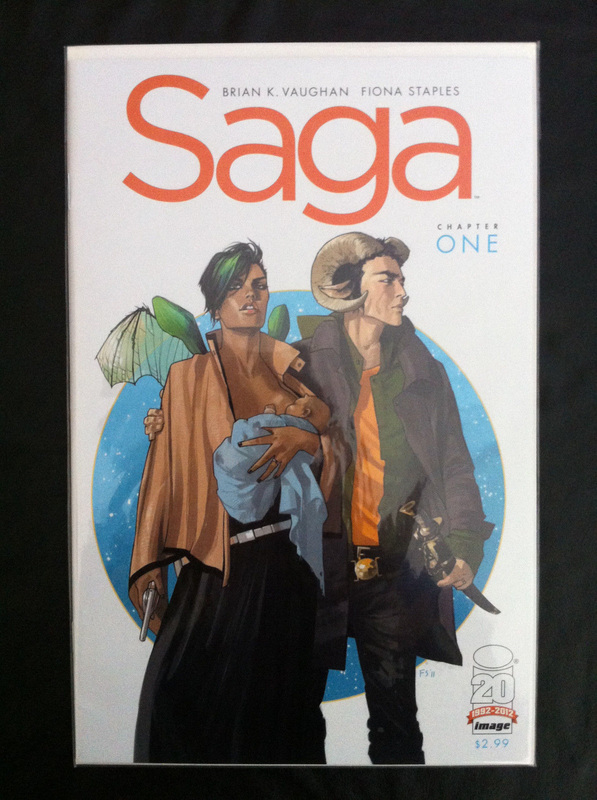 Another recent example is SAGA. Again, a quick EBay search will show you the first issue going for a couple hundred dollars. Notice how the graded versions are fetching closer to $500. What you should take away from this is grading can drastically increase the value of your comic, BUT not all comics should be graded. If you have a comic valued at $2.00 and you spend $30.00 to get it graded, it doesn’t ​mean your comic is magically valued at $32.00 or more. It's still valued at whatever the market says. So select your comics to be graded carefully. So if you're just starting out you can use some of these tips as guidelines as you enter the world of graded comic books. Select Comics that already have some value. Like we said before, you don't want to send in all your $2.00 comics as you may never break even. Unless it's one of your favorite books or artists, by all means, send it in. But if we're talking about making money, you should try and send in comics that are already at LEAST at the $10.00 price point. I like to go closer to $20 unless it's a personal favorite. I know it can be hard parting ways with some of your favorite comics to be sent off. I have had plenty of anxiety filled nights myself. "What if the UPS truck caught on fire?" or "What if the mailman threw my package in a lake?" and other equally as insane fears. One way to ease your mind is to find a local comic shop that sends comics to be graded regularly. They do it for their own comics all the time so you know they are packaged properly and some of them are even insured. Check in with your local shop to see if they offer a grading service. Sometimes all you need is that extra assurance. Always try and gauge the market. Even if you have a book that's valued at $20.00, check to see what the graded versions are going for. Your comic may not be that popular outside the fans of that particular series. This can all be a little overwhelming for new collectors so just make sure to do plenty of research and ​be sure to keep your comic book price guide handy. EBay is your friend, no really. Go to eBay right now. No really, even if you don't have an account just start searching your favorite comics and start poking around. This is how I got started. I have plenty of problems with eBay. I've been both a seller and buyer, and have seen some shady stuff (who hasn't). But for all it's short comings it's a great place for comic books for a few reasons. The first big benefit is eBay's sheer size. It's been around forever and everyone is familiar with it. The amount of comic books up for sale at any given time is amazing. You can pretty much find anything you're looking for no matter how obscure. Because of the massive collection of comics, it's a great comparison tool even for the same issue. What I mean by that is let's say for example you have the first appearance of Harley Quinn (you lucky human). It's a very well known comic, Batman Adventures #12. Now the price can vary GREATLY depending on certain factors. What's the condition? Is it graded? Is it a reprint? How's it being stored? Is it signed? If you head over to eBay and do a quick search for this issue you'll see huge price difference depending on these questions. 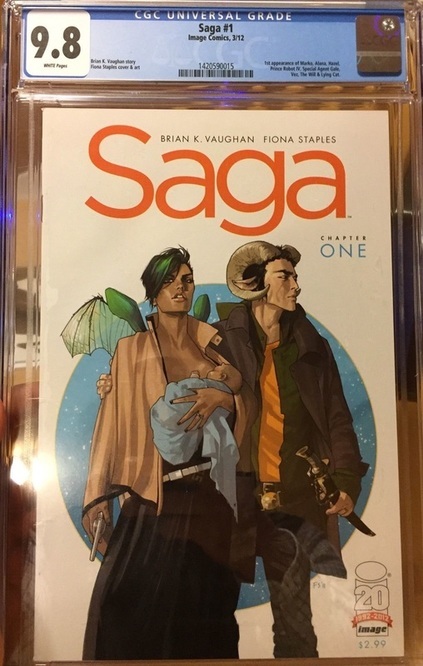 A 9.8 graded copy fetches upwards of $1,500, while a plain Jane (non-graded) copy even of great quality, might only fetch a couple hundred dollars. Immediately you start to see the value of graded comics but don't let that be your only purchasing factor. Like any collectible, the true value is much more flexible than market price. Market price should always be a guideline and nothing more. The true value of a comic is just the agreed upon value between you and the buyer/seller. I've saved myself hundreds of dollars over the years by simply contacting sellers and throwing an offer at them. ​I'm not low balling either. For example, I recently bought an early issue of Sonic The Hedgehog by Archie. The seller had the book up for months. I was curious why it wasn't selling and contacted him. It wasn't in mint condition, probably VF+, but it was enough where I think his list price was too high. He wanted $30 for a book that was worth maybe $20-$25. So I offered $15, he shot back $25 and we agreed on $20. Was it worth $30? Sure maybe in slightly better condition or someone desperate to fill out their collection. But I saw that the listing had been over 2 months old and his price was a little high. I used both of those as leverage and we both came out happy. He sold a book he just had sitting around and I saved a few dollars on something I was missing. Win, win! ComicWow Interview: J.C. Vaughn, 2015 Overstreet Comic Book Price Guide 45th edition and more from ComicWow! on Vimeo. The 90s brought us some of the best stories the industry has ever seen. While the 90s probably had too many guns, jackets with pockets, holo covers, variants, trading cards, utility pockets, pogs, and animals wearing sunglasses, we still got some great work. Spawn, Bone, Hellboy, Tomb Raider, Sonic The Hedgehog, Daredevil, WildCATS, Witchblade, Cyberforce and many more all had HUGE impact in the 90s. We also had fan favorites like Harley Quinn and Jubilee come on the scene in a big way. So come get your nostalgia on. Come embrace a passion shared by thousands, 90s Comics!